A simple, yet effective way to decorate a tiered cake for maximum WOW! Whilst the cake is still warm pour over the syrup and allow to soak in. 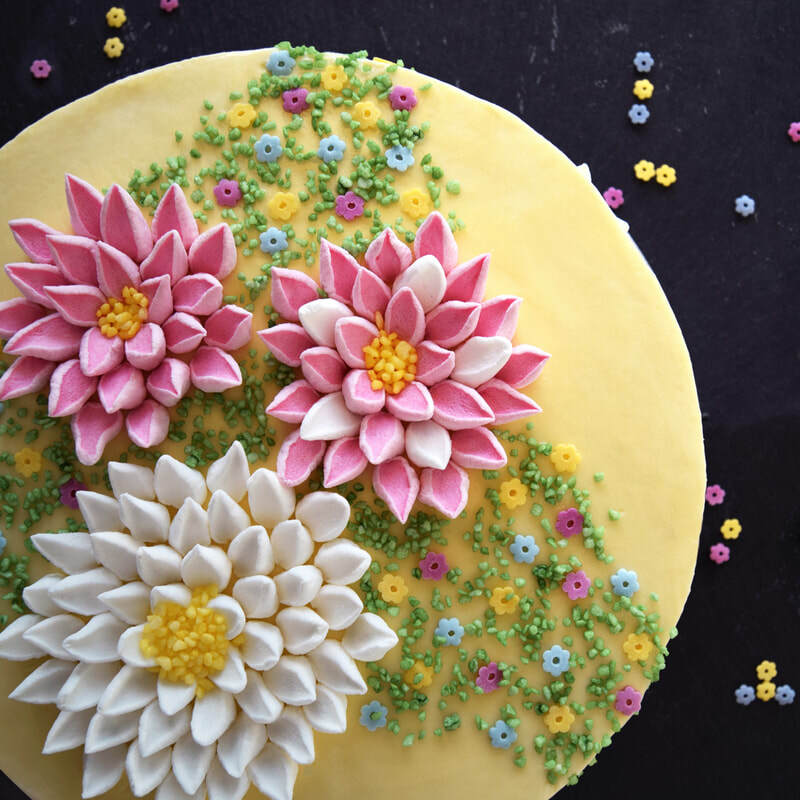 Cut the marshmallows in half diagonally to create the petals and arrange in concentric circles to make flowers, use the yellow sugar from the Bloomin’ Lovely to create the stamines.